Ravishing backdrops contribute the most in giving perfectly framed photographs of big events! 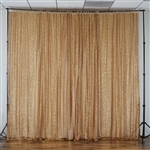 We have introduced Big Event Fabric Backdrops that are available in the most stunning colors and premium quality fabric to suit décor theme of any big party you have planned. These stunning backdrops can create the dreamy backdrop setup especially at grand wedding parties or anniversaries. 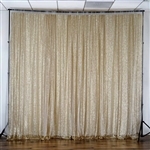 Perfectly crafted from premium handpicked quality material, these big event backdrops consist of endless variety, including metallic spandex backdrops, damask flocking backdrops, satin ruffle backdrops, rustic burlap natural authentic backdrops and much more. All are unique in its own way and have the trendy to take your party decoration to the next level. 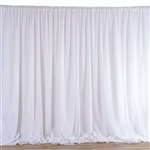 Why buy Big Event Fabric Backdrops from RazaTrade?